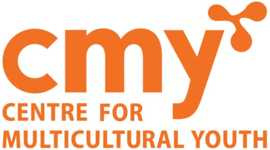 The Centre for Multicultural Youth supports young people from migrant and refugee backgrounds to build better lives in Australia. The Reconnect program works with newly arrived (in Australia for less than 5 years) young people from refugee background who are at risk of homelessness. The program incorporates case management, counseling, group work, family mediation and practical support. Specialist and Intensive Support Services (SIS) provides streamlined intensive case management, coordination and support to refugees and humanitarian entrants with complex and high needs that cannot be met by other care providers. The UHM programme provides housing and support for unaccompanied minors who have arrived, for the most part, through Australia's onshore refugee programme and have been assessed as capable of living independently.The programme provides a targeted and intensive response to the diverse range of needs, experiences and skills of participants, who are provided with a wide range of support services that enable and prepare them for independence. Located 5 minutes walk from the Sunshine train station.